With news of Kia Picanto winning an award in the “City Car “category, a decision to lease or purchase this affordable vehicle would not be a difficult one to make. In the city, the Picanto is nippy and refined and quite clearly, in its element. During this second year of Parkers’ awards, this amazing Kia Picanto received much accolade for its excellence and unmatched authority in the City Car segment. Before handing over this prestigious award, judges highlighted a number of impressive reasons why this Picanto is so superior in its category, pointing out low depreciation levels, comprehensive service, repair and maintenance packages. The car, with its low running costs, has been globally deemed as a model of practicality and excellent performance that matches the demands and competition of the modern car industry. Looking for a brilliant performing vehicle to lease or purchase that is easy on your pocket? With a surprisingly spacious interior, great looks and solid feel, this supreme and keenly priced award winning city car comes highly recommended. 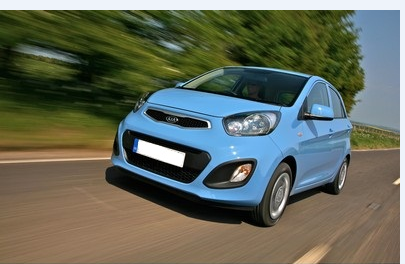 Kia Picanto: – a small “easy on the pocket”city car BIG on ideas. If you’re looking to purchase or lease a new Kia contact our sales team. Alternatively, visit our website where you will find new and used Kia’s available for sale or on finance.